Camden SMART presents CAMDEN REPORTS! 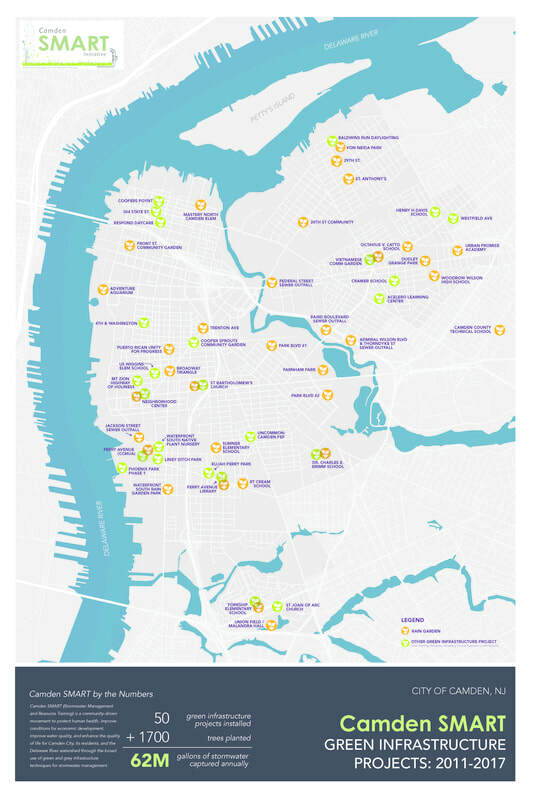 Check out all of SMART's Green Infrastructure Projects! 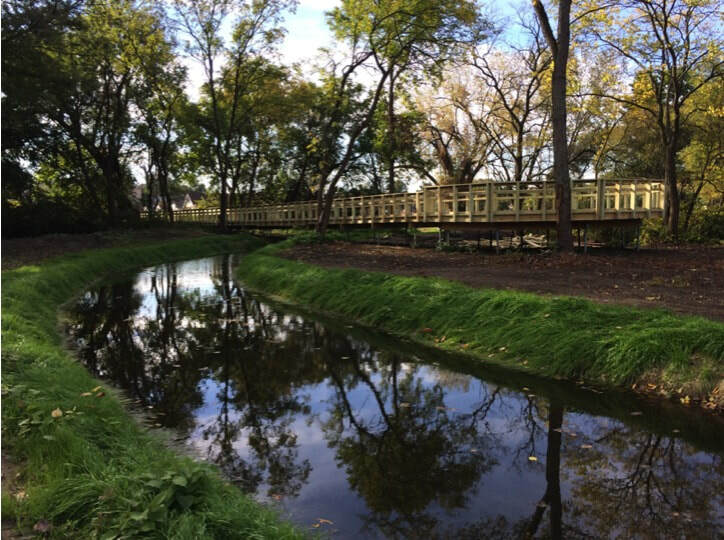 In October 2015, SMART Partners completed the first phase on one of the team's most complex and rewarding projects to date—the Von Nieda Park Stormwater Management & Park Improvement Project. The project mitigates flooding in Cramer Hill via separation and improvements to the storm and sanitary pipe infrastructure in and around the park, daylighting a section of the Baldwin’s Run tributary to the Delaware River Backchannel, and green infrastructure enhancements. To date this is the largest green infrastructure project constructed by Camden SMART Partners, managing over 50 million gallons of stormwater annually. Liney Ditch Park and the Camden County Municipal Utilities Authority (CCMUA) are located in the Waterfront South in Camden City. This neighborhood experiences the worst air quality in Camden, with many industrial neighbors contributing pollution and unpleasant odors. 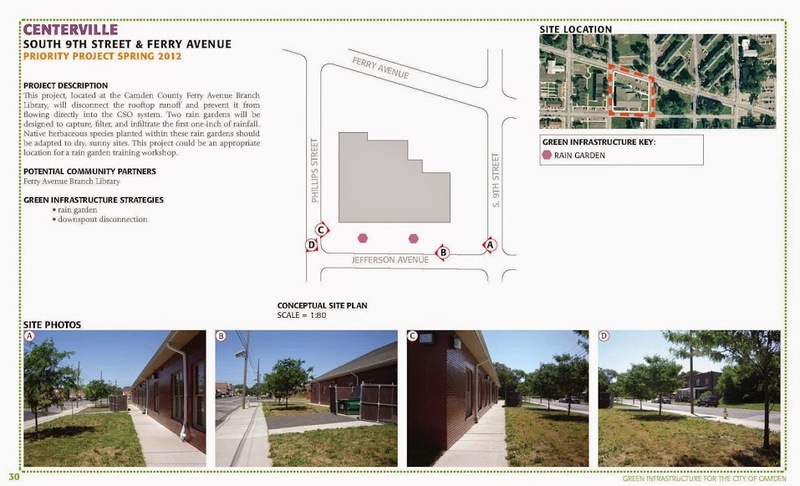 For years, the community has requested more trees in Liney Ditch Park and in the neighborhood as a whole. The NJ Tree Foundation (NJTF) is a member of Alliance for Community Trees and the tree planting is made possible by partnership with TD Bank. 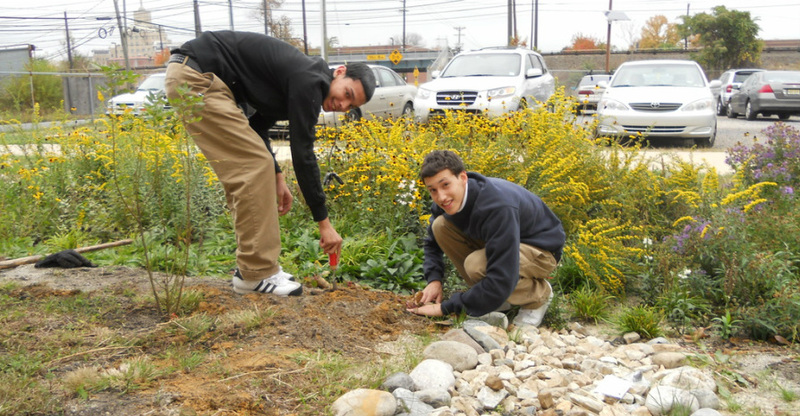 NJTF is a state-wide non-profit organization dedicated to planting trees in New Jersey’s most under-served neighborhoods. In partnership with the Nature Conservancy's LEAF Program and Rutgers 4-H, members of the Camden SMART Team constructed a 200 square foot rain garden designed to treat stormwater from a 2” rain event at an infiltration rate of .5” per hour. This rain garden captures stormwater from the school’s rooftop and enables it to infiltrate into the ground before it has a chance to become stormwater runoff.